Premium quality silver trophy cup with concave body shape, similar to the English FA Cup. Handmade in Britain, these trophies have a polished silver plated finish with superb handchased decoration. 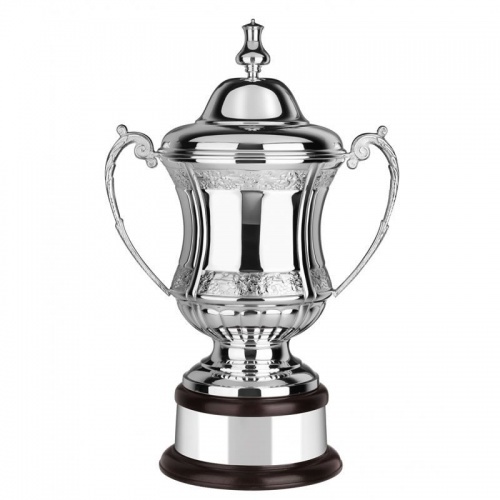 15.75in tall, they are supplied complete with matching silver plated lid, mahogany plinth and a silver plated plinthband ideal for engraving with winner details for perpetual awards.These trophies carry a lifetime warranty and can be engraved on body the body and plinthband.